A multi-agency operation aimed at removing abandoned and untaxed vehicles from the roads of Caithness has led to 27 vehicles being clamped or seized. Police Scotland officers have worked with the Driver and Vehicle Licensing Agency (DVLA) and Highland Council Environmental Health officers during the three day operation running from Monday, April 15 until Wednesday, 17 April 2019. Help halt the harm doorstep criminals cause in your community. Independent charity Crimestoppers is today launching a campaign to raise awareness of Doorstep Crime and encourage people to pass on any relevant information 100% anonymously. The following has been issued nationwide today 7th March 2019. Improvised Explosive Device Sent via Mail - 6th March 2019. Week Commencing 25 February 2019 Energy & Business Services: The Beatrice Offshore Windfarm project has passed the 75% mark in its construction phase with the installation this week of the 63rd of 84 turbines The company is also currently advertising for a Wind Turbine Engineer to be based at Wick. http://ssejobs.co.uk/caw/en/job/519979/wind-turbine-engineer Enabling activities: Caithness Chamber of Commerce - in its role as Europe Direct Information Centre (EDIC) for the North Highlands, Orkney and Shetland - hosted a Brexit Business Breakfast in Thurso today (Friday). The fund is provided by the Nuclear Decommissioning Authority and administered by Dounreay in association with the Dounreay Stakeholder Group. Community organisations or charities that benefit people in Caithness and North Sutherland may be eligible for assistance from the Dounreay Communities Fund. The first blocks of concrete have been removed from the top of one of the world's most recognisable chimneys. This marks the start of the demolition of Sellafield's Windscale Pile One stack. 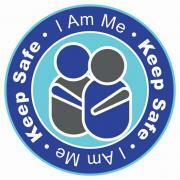 Police Scotland and the I Am Me charity have welcomed new members to the network of Highland premises which have agreed to make their premises a Keep Safe place for people to go if they feel frightened, distressed or have been the victim of crime. Nairn Citizens Advice Bureau and the Co-ops in Golspie and Brora have joined the initiative, which is delivered in partnership between I Am Me and Police Scotland. The cost of Police Scotland's junked phone hacking kiosks is likely to rise again as the force considers taking legal action to prove it did not breach privacy laws. It spent £370,684 last April on 41 of its cyber kiosks, which let officers copy data from mobile phones, but the plans were shelved following an outcry from privacy campaigners, The Times reports. Police Scotland can confirm that two men have been charged in relation to two vehicles detected travelling at 131mph on the A9. 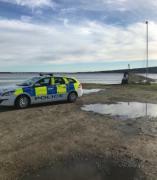 The two vehicles were seen by road policing officers near Arpafeelie on the Black Isle north of Inverness shortly after 11.15pm on Wednesday, February 20. Drugs with a street value of more than £820,000 have been seized throughout the Highlands & Islands during a four week period of enforcement in January and February. Officers have been carrying out targeted activity aimed at removing illegal drugs from the streets - while causing extensive disruption to those intent on trafficking and dealing. Eight police officers from the Central Motorway Police Group (CMPG) have achieved their HGV Class 2 Cat C driving licences in order to drive an unmarked truck. The officers were trained by the Ryder Truck Driving Academy to operate the CPMG's HGV ‘supercab', which helps identify drivers that are breaking the law. Week Commencing 18th February 2019 SpaceHub Sutherland: The SHS team held two more information events this week - in both the Melness Community Centre and the Pentland Hotel, Thurso. I attended the Thurso event, which saw a steady stream of interested visitors (around 100 in total) asking questions about the background to the project and on the progress it is making. The latest updates on radioactive particles released from Dounreay on beaches have been published. The latest find dates were - Dounreay Foreshore 11 January 2019 Sanside Beach 11 February 2019 Murkle Beach 26 November 2016 Nuclear fuel was reprocessed at Dounreay for almost 40 years. Questions about Brexit? Citizens' rights and settled status? Drop in and talk to the Europe Direct Information Centre team who will be available to answer your questions and offer guidance on where to find reliable, up to date information. Sessions in Thurso and Wick.. The Europe Direct Information Centre (EDIC) for the North Highlands & Islands, hosted by Caithness Chamber of Commerce, will be hosting a business breakfast on 1 March 2019 at the Pentland Hotel, Thurso to update you on the latest around Brexit and what it means for businesses in the North Highlands. As part of our Europe Direct Information Centre (EDIC) contract, the Caithness Chamber will be hosting a business breakfast on 1 March 2019 at the Pentland Hotel, Thurso to update you on the latest around Brexit and what it means for businesses in the North Highlands. Week commencing 11 February 2019. SpaceHub Sutherland: The SHS team are holding more events this week - in both the Melness Community Centre (Tuesday 19th February, 15.30-20.00) and the Pentland Hotel, Thurso (Wednesday 20th February, 15.30-20.00).